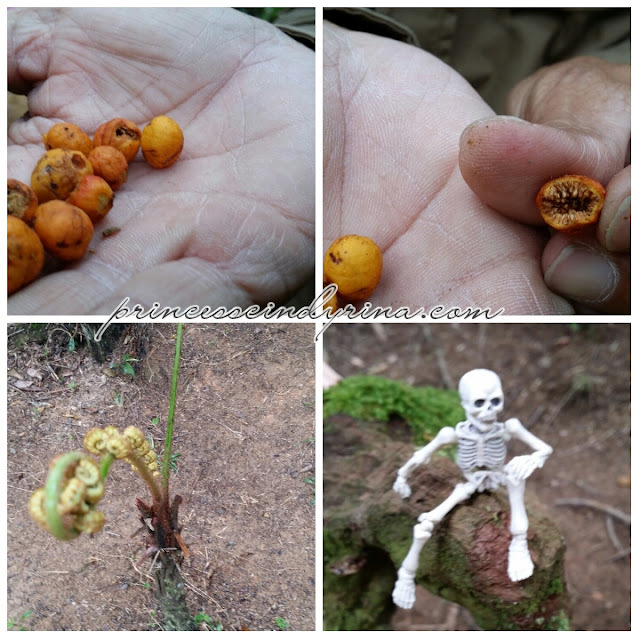 For those who have been reading my blog know that I love natural trail. Recently, I was invited by Resort Worlds Genting to experience the nature trail in Awana Jungle. I was so excited but was contemplating due to my knee condition. I was told to avoid any hiking or anything require uneven ground. mmmmmmm....Cindyrina is always a stubborn and self motivated woman. This woman accepted the challenge with walking stick in hand. WTH! Owhhhh!!! this old age sickness come so soon for me. My perception about Genting Highlands activities is gaming, casino and honey moon. kekekeke...I thought we can't the lush old jungle surrounding the Genting Highlands. 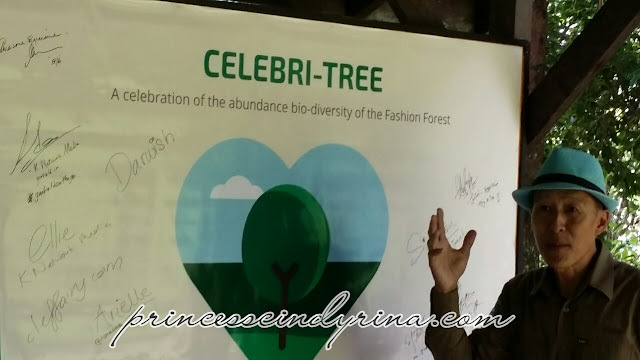 Trek Nature Enterprise lead by jungle passionate Mr Eddie Chan and his wife Pat Ang introduce the 130 millionth jungle in a different and creative way. They name this beautiful untouched jungle as 'Fashion Forest'. 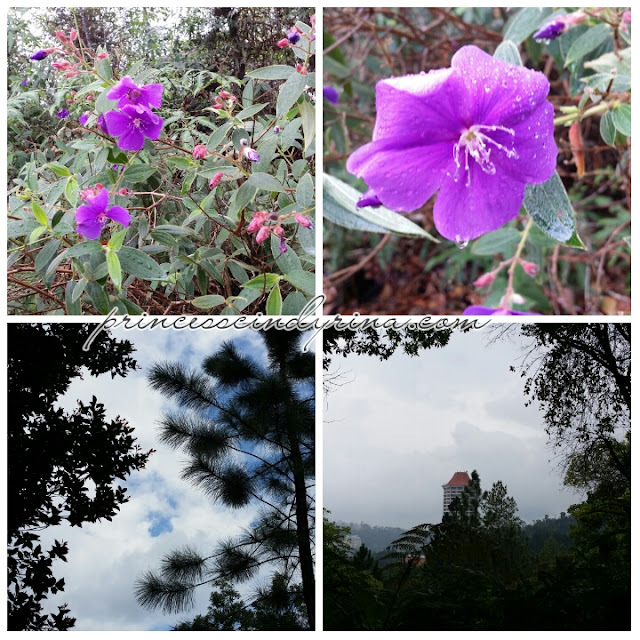 The 'stars' and 'celebri-tree' are the flora and fauna in Genting Highlands.They are abundant, and well protected from human abuse. This is Eddie who is passionate and energetic man. 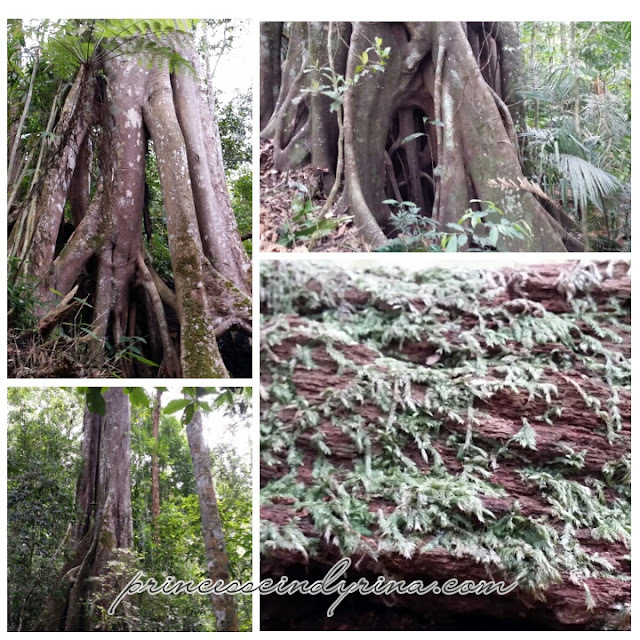 These are some 'celebri-tree' in the jungle and you a re lucky if you can catch a glimpse of them. Gosh! I can't even peep even one. Haihhhh! disappointed mode! A short 800 meters nature walk into the Fashion Forest. Interesting about this trail is you can see bar code on some trees. You can scan the bar code and the introduction of trees species will pop up. Interesting right? Enjoy the nature and at the same time learn about it. 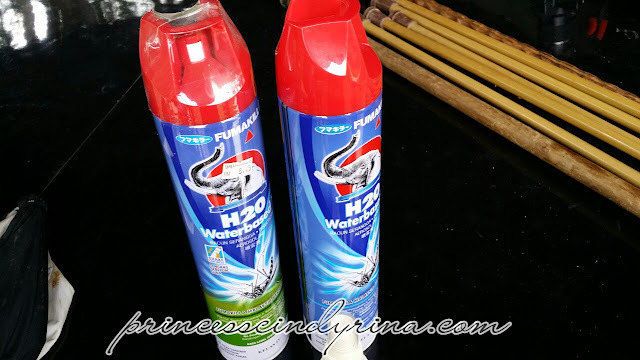 This is fun and great activities with kids. I told you Genting Highlands is not about just gaming. This look like that 'ice age' fella most hunt item. This call Acorn. Its type of nut from oak tree. 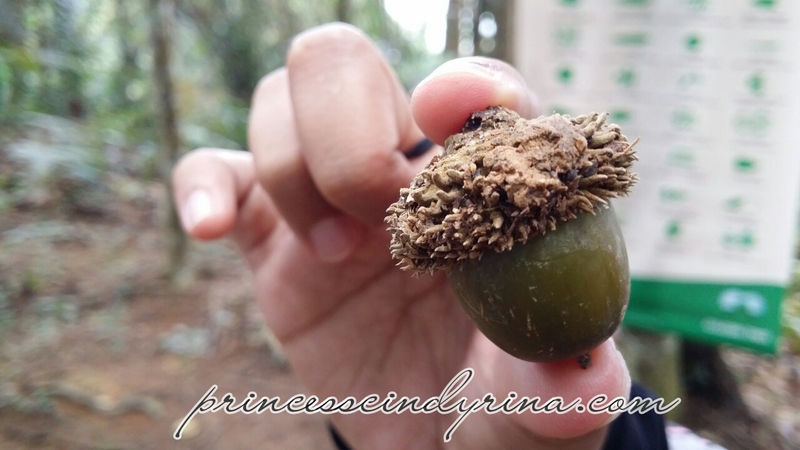 This remind me of the acorn jelly. mmmmm...yummy! feeling like squirrel now. 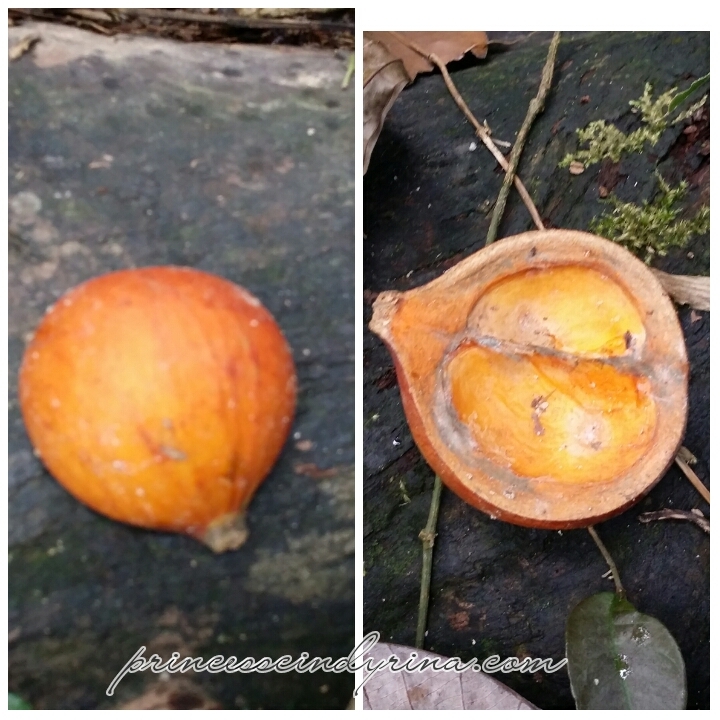 How about this beautiful orange color fruit? Not sure what its name but was told this is hornbill bird favourite. 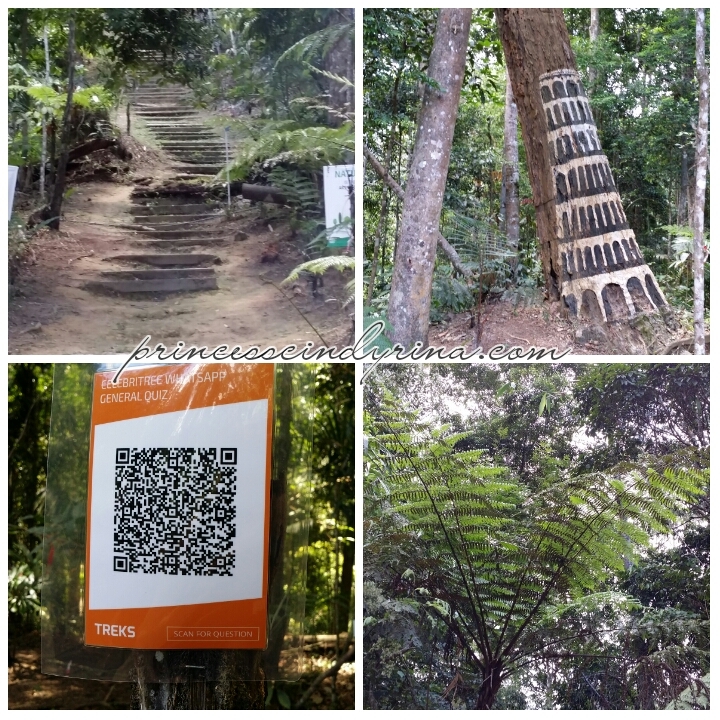 We walked further into the forest which is also home for ferns, bamboos, mosses and many type of rattan. The view was awesome and the discovery which I can describe to you as fabulous. You need to experience the nature yourself though! Gosh! never come across my mind that I will witness this kind of gigantic ancient tree here in Malaysia. I visited this kind of tree at Siem Reap, Cambodia during my visit to 'Thomb Rider' movie site. That tree is super gigantic! You need to be here to witness this awesome jaw drop tree. 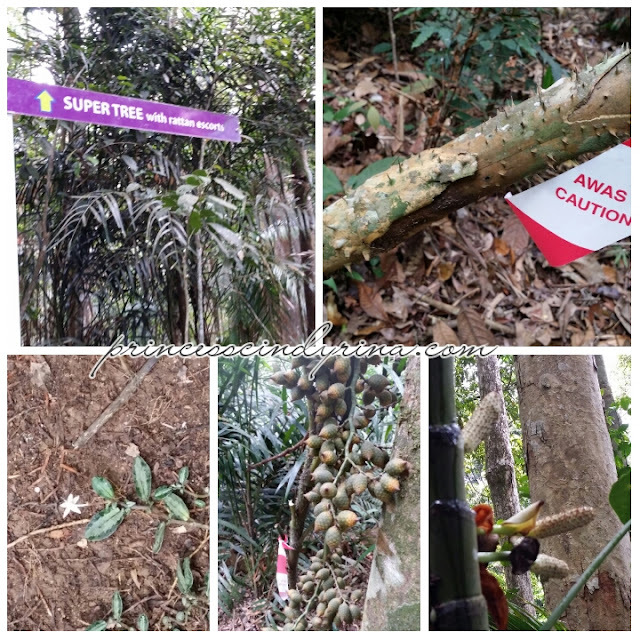 Here are some of flora and fauna along the way while doing this nature walk course here at Awana Genting. Top photo - The orange color fruit is type of birds favourite fruit. 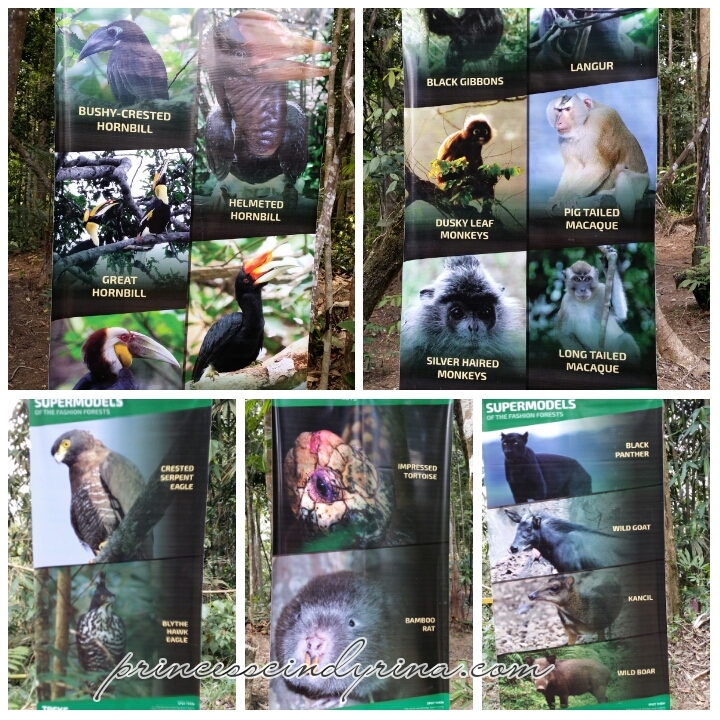 Bottom Right : Spirit of the forest which is the follower of Singapore Blogger who also joined this trip with us.WTH! Lovely view after raining during the walk. Love the serene and refreshing view after rain. Love the smells too. 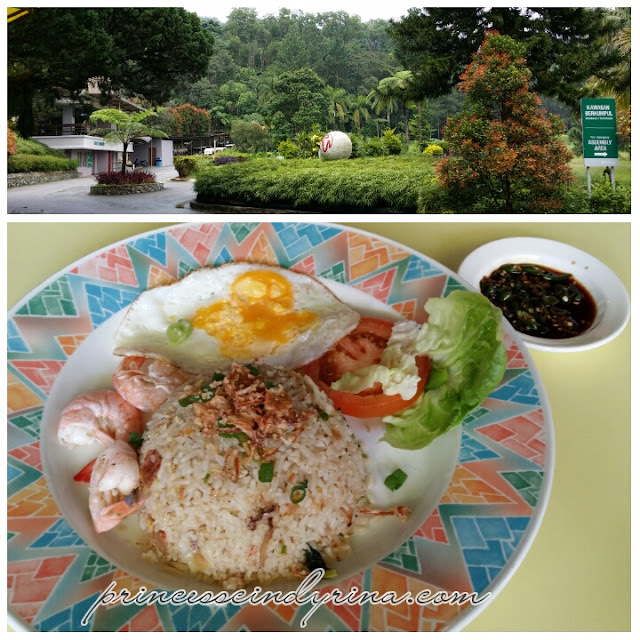 Finally, have lunch at Golf Terrace , Awana Genting at 3:30pm. isk isk isk...tired but exciting walk and can't wait for what is next plan by Trek Nature Enterprise later. Check out and like their FB here. Do I find this trail is difficult? Next post is my experience to English Garden. Wait up for my Friday post soon. wow... wht an amazing trip.... I wish I could have joined this trip too... it is so much fun. Looks amazingly relaxing. Can't say I would like to be there (not really an outdoors person, haha), but still enjoy the photos! Wow I do love nature trails. 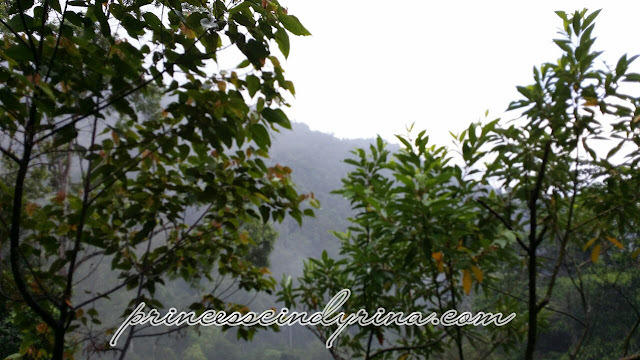 There are lots of lovely green areas surrounding Genting - must have been nice and cool! 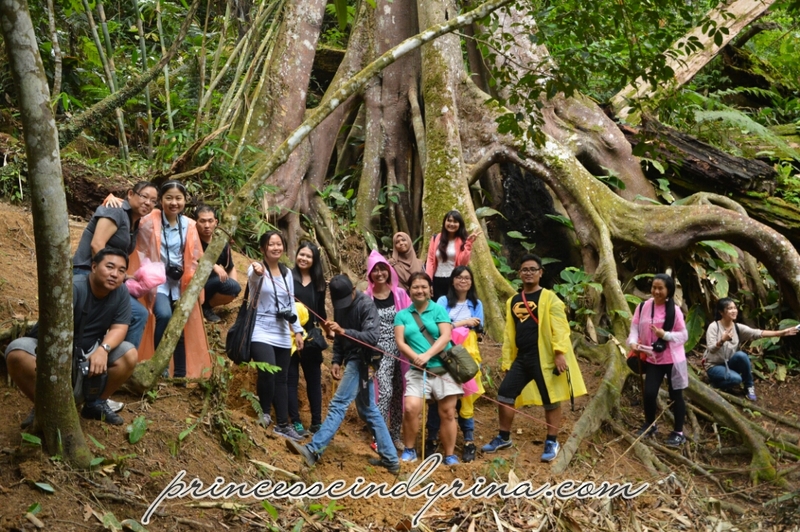 I don't like jungle trekking much but your photos make me want to explore. Looks fun. I love the purple flower photo. Want to go there too. 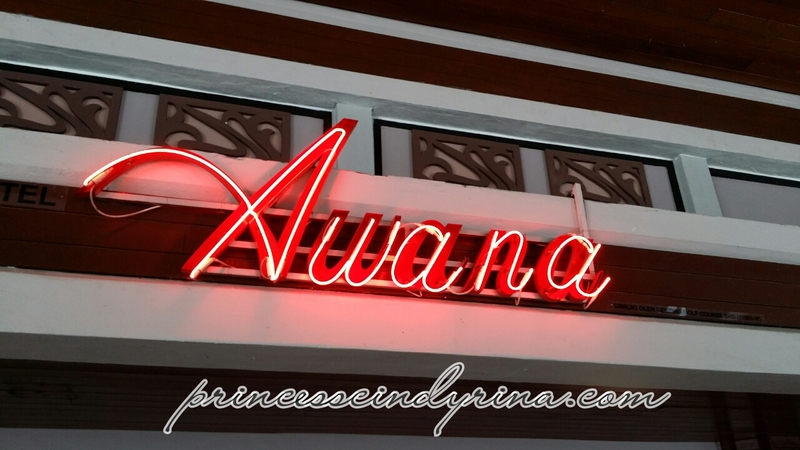 awana genting,. i cannot remember my last time there.. too long ago. The natural trail looks so nice and pretty! 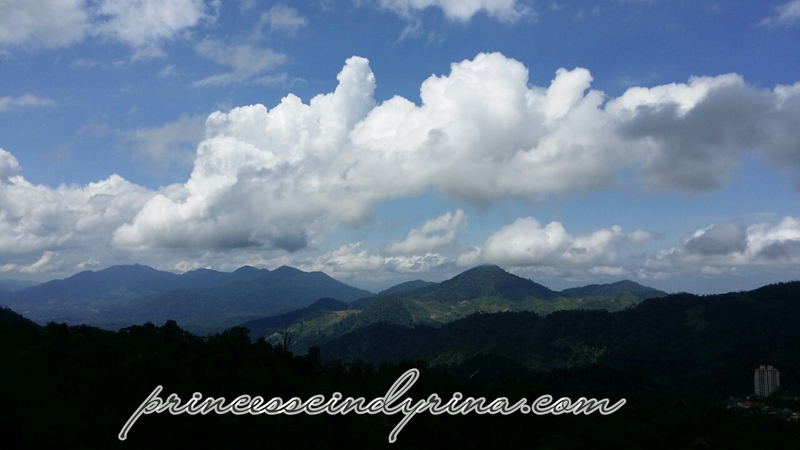 I miss nature wind and view, now I know that we have alot of different things to do in Genting Highlands now! I did not know there was a jungle trail there....coolies!!! This event really excited. so beautiful the place. I love natural environment. was in Taiwan few months ago and went to this reserved jungle. they are so proud with their 2,800 years old tree. but it's not the same case in Msia. Hope we have more marketing and awareness on this.